"Love coming to WPD. Our whole family has been coming for over 12 years." – Hillary K.
White teeth look great on everyone. Whatever the reason your teeth may not be as bright as you like, we aren’t going to judge you.  We’re only interested in how we can restore your dazzling smile. You can whiten your teeth at home with products from the grocery store but you’ll get better results if you come see us. The main problem with over-the-counter products is that the whitening strips don’t connect with your teeth very well, so your teeth won’t whiten uniformly because the gel isn’t properly applied. We can whiten your teeth in our office or we can create custom mouth trays which ensure an even distribution of the whitening gel. Patients come in for ZOOM! Whitening because of the dramatic results and because the process continues to whiten even after you’ve left our office. The procedure is simple and painfree. It begins with a short preparation to cover your lips and gums, leaving only your teeth exposed. The clinician then applies the whitening gel which is designed to work in conjunction with the Zoom light. The Zoom light and gel work together to gently penetrate your teeth, breaking up the stains and discolorations. The gel is applied for 3 fifteen minute sessions for a total of 45 minutes. During this time you can relax, watch TV or listen to music. The process actually enables you to lighten your teeth 5-6 shades in about an hour! This amazing and effective whitening system is very popular with patients who reward themselves with fresh, dramatically white teeth in just an hour. Come in on your lunch hour! Or just add an hour onto to the end of a check-up.